Legal Tips for Home Construction | Fryberger, Buchanan, Smith & Frederick, P.A. The primary consideration in choosing land to build on is whether the home you want can actually be built on the land. Contact the local zoning authority to determine the applicable zoning restrictions. Most zoning codes contain setback and spatial limitations which affect the size and placement of new construction and home additions. If you plan to remove an existing home and rebuild, make sure the zoning code allows rebuilding on the land. You can’t assume that just because a home is on a parcel that you will be able to remove it and rebuild. The presence of wetlands and other natural features can affect a parcel’s suitability for construction. A contractor can help evaluate whether there are natural features that will affect building options or increase construction costs. Determine whether public water and sewer are available. If not, determine whether there is an appropriate site and sufficient space to dig a well and construct a septic system. Work with your agent or attorney to craft appropriate contingency language to include in your purchase agreement for the land. The contingencies should allow you to investigate the issues listed above before you close on the purchase of the land. Most importantly, the contingency should allow you to cancel the purchase agreement if you discover the land is not suitable for the planned improvements. A title insurance policy insures the right of ownership to a parcel of land. Title insurance insures against risks caused by possible defects in title based on past events, such as a mistake in a past conveyance. An important title insurance consideration when building a new home is the amount of coverage to purchase. Typically, the amount of coverage in an owner’s title policy is equal to the purchase price of the property. However, when a vacant land is purchased with the intent of building a new home, the purchase price of the vacant land will not reflect the value of the property after the new home is constructed. Therefore, a title policy in the amount of the vacant land purchase price will leave you underinsured once construction is complete. Talk with your title insurer about getting an endorsement to your title policy which will allow you to purchase additional coverage post-construction. A survey is the process by which a parcel of land is measured, and its boundaries and contents located and mapped. It consists of a scaled drawing depicting the locations of buildings, streets and other improvements in relation to boundary lines. A survey assists a buyer in understanding exactly what property is included in a transaction and the location of any improvements. A survey can also reveal problems with the land, such as overlapping boundary lines or improvements built on top of a boundary line. We have all heard horror stories about contractors who abandon a job before finishing it, or run up costs way beyond what was agreed upon, or accept a deposit for work and then never show up to do the work. Hiring a quality, reliable, licensed contractor is an essential step towards a successful home-building project. To help ensure that your contractor is a good one: (i) check with the Minnesota Department of Labor and Industry Residential Building Contractors Unit to determine whether a contractor is licensed and to see if they have negative information on file; (ii) check for judgments, tax liens, or other lawsuits at your local Court Administrator’s office (located in the county courthouse); (iii) ask for recommendations from friends, architects, and local lumber yards, or anyone else whose advice you trust and is associated with the building trades. Once you have chosen a contractor, be sure to enter into a written contract that contains as much detail as possible regarding the work to be performed, the materials to be used, the timeline for completion, and the price the contractor will charge for the work. 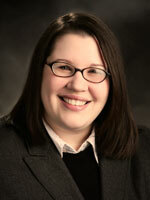 Melissa Maloney is shareholder at Fryberger, Buchanan, Smith & Frederick, P.A. She practices in the areas of Banking and Lending Support Services, Project Development, and Business & Personal Real Estate.